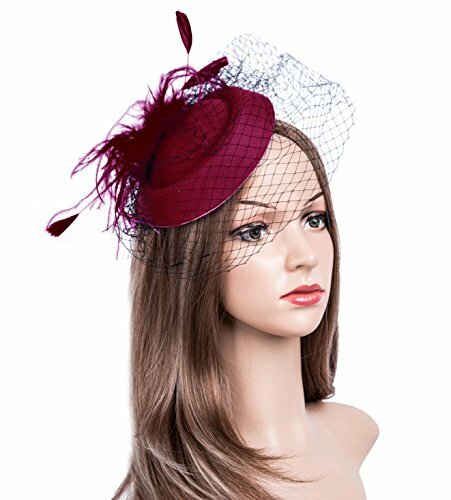 Cizoe Fascinators Hats 20s 50s Hat Pillbox Hat Cocktail Tea Party Headwear with Veil for Girls and Women (B-Burgundy) by Cizoe at Envy This Stuff. Hurry! Limited time offer. Offer valid only while supplies last.